It's party time in Europe! 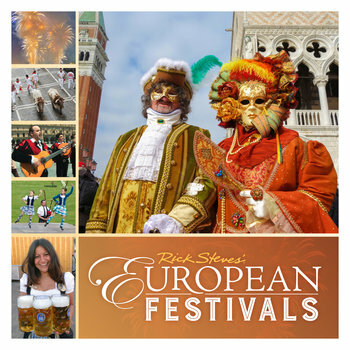 In this colorful companion book to the "Rick Steves' European Festivals" TV special, Rick teams up with co-author Gene Openshaw to explore the history behind Europe's top 10 festivals — and revel in all vibrant pageantry (and often oddball zaniness). …plus take a look at 40 more all-time favorites. With fascinating insights, rich history, and vivid photos, this great gift book captures the spirit of Europe's rich and fun-loving heritage. Hang on to your party hats! Dimensions: 7" x 7" x ½"